Take a trip away from the ordinary with a getaway to Santa Fe. Take your whole family on the trip of a lifetime! With great attractions and activities, you won't be disappointed! 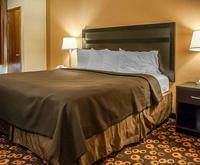 We have plenty of accommodations to suit your needs as well! Pack your bags and let us help you book your dream vacation online today!